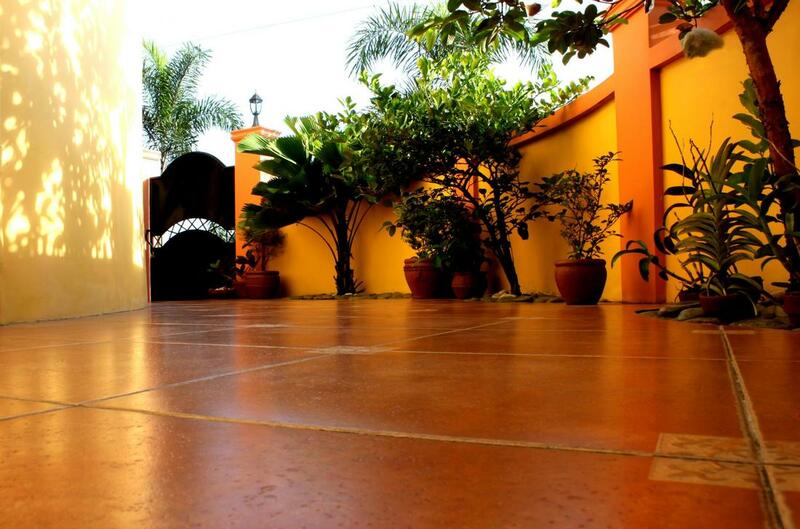 If your concern is your concrete appearing dull and boring then concrete staining is the best fit for you. It can jazz up any plain areas in your house to make it seem to be just any color or design you can think of. Here in Concrete Contractors Little Rock, you will be introduced to the different types of stains including the looks and feels it offers. We greatly understand how you value your flooring and it's an important factor for us that you'll be able to enjoy it with or without a footwear on, which is why we made ourselves equipped with all the knowledge and skill to put up a service that will bring life to any areas of your home and update your existing flooring without you having to spend more than what you can afford. We take pride in our work as a reflection of who we are and if it's stained concrete that you want, you can trust that we will help you out. Contractors use two types of staining that you'll be interested to know. We have reactive stains and non-reactive stains. In the first type, it is designed to chemically react with your concrete surface providing color and translucency that resembles a marble's color variance. This impressive effect is one of the reasons why many of our customers choose this staining method. While for the non-reactive stain, it primarily consists of water-based stains and acrylics. So this type doesn't rely upon chemical reaction between concrete lime and metallic salts and it functions similarly to a paint. Non-reactive stains are easier to apply and it provides much more uniform and tends to appear slightly more opaque. Either of these two, as a homeowner you need to think what type you are going to have since concrete staining is permanent but we guarantee that we will help you have a complete new ambiance for your home. Depending on what type of concrete floor stain you will be choosing, results can vary but the most important thing that must be considered is the person who will do the staining. If it will be someone who knows the whole process and is expert enough, then you should expect a good result but if it is someone who doesn't know the whole thing then expect the opposite. But we always recommend that you delegate this big job to a professional who knows exactly what they're doing and that can guarantee a quality job. Our company is your solution to this! We feel your concern about saving as much as you can and our company is not founded with the purpose of breaking your bank. If it is concrete staining that you want in your house then we will help you! We will give you a service that you can afford and is assured of quality. You can guarantee that you won't get a rubbish job because we believe that your feedback is an asset to our company. So in your next staining project, don't forget to call Concrete Contractors Little Rock and you'll get satisfying concrete results!